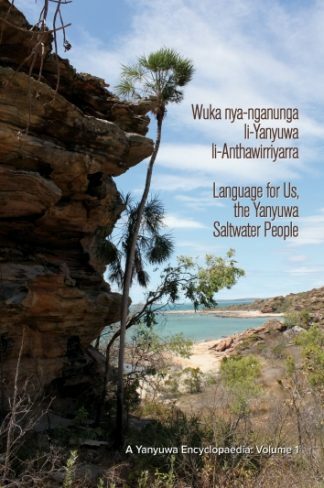 This Encyclopaedia is a rich, authoritative repository of the cultural and linguistic knowledge of the Yanyuwa, the Saltwater people of the coastal and island country near Borroloola in the Northern Territory of Australia. Volume 1 will interest linguists and ethnographic researchers. Its chapters cover the Yanyuwa and their country; historical and contemporary recorders and recordings of their language; examples of 35 texts recorded between 1959 and 2013, many extensive and all with word-by-word and polished English translations; over 100 song poetry texts, many short but others involving extended song cycles, with translations; 26 Ancestral Dreaming stories, with translations. Appendices cover word games, string games and sign language. This volume includes illustrations, a bibliography and an index. Volume 2 will be of particular interest to linguists. Part 1 considers Yanyuwa grammar, which has distinctive features, in detail. Chapters cover the sounds of Yanyuwa; special dialects, including separate men’s and women’s language; the 16 noun classes, as well as avoidance noun forms; pronouns; adjectives; and verbs – all with extensive examples. Part 2 offers a comprehensive Yanyuwa–English dictionary, with important linguistic, taxonomic and cultural information, bilingual examples and cross-references. Part 3 is an English–Yanyuwa word finder, with subcategories of thematically related words. This volume includes illustrations and a bibliography.